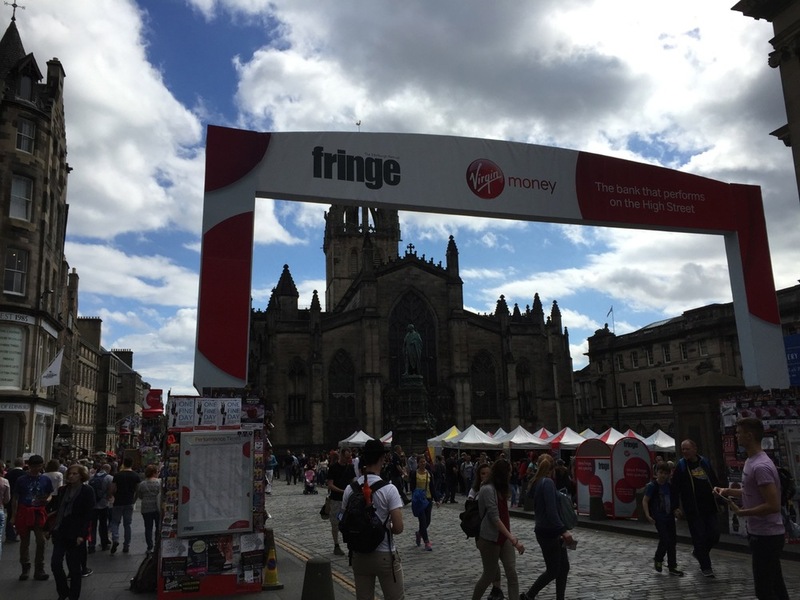 I could hardly wait to check into my B&B in Edinburgh, the Fraoch House, within walking distance of Edinburgh's Old Town, the site of hundreds of Fringe Festival venues offering theater, street performances, art, music and comedy throughout the month of August (https://www.edfringe.com/). Yes, it's a circus! Check out the photos below. Edinburgh is a beautiful city, full of history, castles, great museums, pubs, and they've got a terrific public transportation system. Above is the bartender--at the Aldanach pub in Edinburgh--who poured me a sampling of four 25-year-old single malt whiskeys. I took this photo in a liquor store in Edinburgh to show pricing for older bottles of single malt, in this case Ardbeg. After three fun-packed days in Edinburgh, I got up my nerve to rent a car for an 8-day, self-guided tour of Scotland. Yes, it meant driving on the left side of the road while using a manual transmission with my left hand. I decided also to rent a GPS system for the car, and that turned out to be a very wise decision. I can't imagine trying to read a road map while maneuvering through roundabouts and reading road signs. I stayed at very nice B&Bs during my trip, but let me tell you, Scotland is spendy. Each B & B averaged $100 a night, usually including breakfast. It was difficult to find bookings in some places, especially the Isle of Skye, where I don't think there was a room to be found. The fish ladder at the hydropower plant at Pitlochry, Scotland. More than 3,000 salmon had used the ladder (a series of lochs of different levels) to bypass the dam this season. Without the ladder, the fish would get sucked into the turbines and most would not survive. Inverness was a traffic jam. When I drove into town, the only legal parking space I could find was in a shopping center, where you had to pay while you shopped. Just as well! I went inside the mall to find a store that serviced Apple computers, just to verify that my computer was working with wi-fi. In so many places where I'd stayed, "free wi-fi" is advertised, but in fact, it hardly ever works in your room, and it only sometimes works in the public areas of the hotel/guest house/B&B. The hotel managers almost always insist that it was my computer that was the source of the problem, but since it worked just great in the shopping mall, I was confident that the signal from these small private networks in hotels is simply not strong enough to provide a reliable connection. Hence, beware of the promise of "free wi-fi" on hotel websites. Always ask if the connection is guaranteed in the room, and that it works 24 hours a day. Unless, of course, you don't care about using wi-fi while you're staying there! Since I manage all my banking and mail from my computer, wi-fi is very important to me. It's also what I depend on to keep in touch with friends and family, and to upload my travel blogs! But I digress. I did a fair amount of traipsing around Scotland searching out some of the country's oldest trees, forests and castles---See my news article published earlier in the Santa Cruz Sentinel (https://betsy-herbert-0u0t.squarespace.com/config#/pages/548c795ce4b0c84e07f6732e|/newsarticles-blog). Unforgettable was the castle overlooking Loch Ness, as pictured below. The harbor at Oban, Scotland. On August 16, I returned to Edinburgh to drop off my rental car, and was greatly relieved to leave it there without a scratch. I would then take the train south to Manchester and then to London to visit friends.